RedeSist is an interdisciplinary research network focusing on Local Productive and Innovative Systems. It was set up in 1997 at the Economics Institute of the Federal University of Rio de Janeiro (IE-UFRJ), Brazil. We are particularly interested in analyzing and understanding the new requirements and forms of industrial and technological development, as well as the role, objectives, and instruments of technological and industrial policies. Since it was established RedeSist has developed a methodology applied to analyze Local Productive and Innovative Systems. This methodology has been successfully used in more than 50 empirical studies in different parts in Brazil in the areas of manufacturing, agriculture, services and creative and cultural industries. Our Network Comprises about 27 universities and research centers in different parts of Brazil. More than 100 Senior Researchers, PhD and Msc Students. Redesist has already established connections with more than 20 research centers and 6 international agencies abroad and is an integral part of Globelics, the international research network on the Economics of Learning, Innovation and Capacity Building Systems. 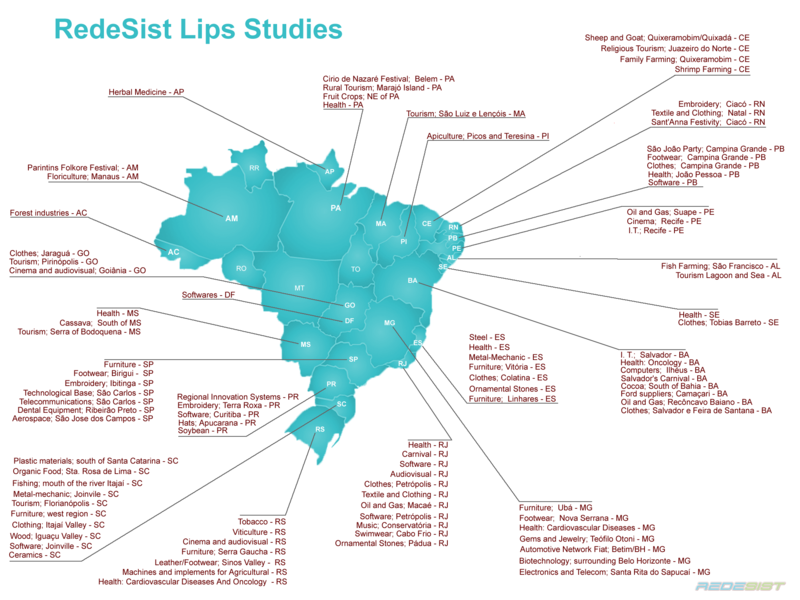 Since 1997 Redesist research projects have been supported by several Science and Technology and other Development agencies in Brazil including CNPq, Bndes, Finep, Sebrae and Banco do Nordeste. International Seminar - TWENTY YEARS OF ARRANGEMENTS AND PRODUCTIVE AND LOCAL INNOVATIVE SYSTEMS. Venue: Casa da Ciência da UFRJ - Rio de Janeiro (RJ). Seminar - Participation of Public Institutions of Education and Research in Sustainable Regional Development. Venue: CBPF - Auditório do Centro Brasileiro de Pesquisa (6th floor). Good news! 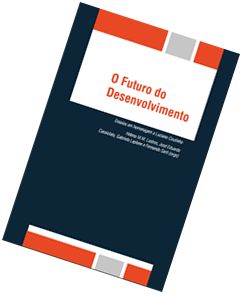 our book"O Futuro do Desenvolvimento", already available on our page, obtained the second prize (Honorable mention ) of the XXIII Brazil Economy Award - Cofecon 2017. Seminar RedeSist: "Action Research Initiatives under Mass Innovation and Entrepreneurship: Insights for Cooperation"
Taught by the Professor Zhang Liyan - Director of the Center for Innovation and Entrepreneurship / Tianjin University of Finance and Economics, Tianjin, China. Data: Friday, July 28, 2017, at 10:30 a.m.
Venue: Room 102 of IE / UFRJ. Event free of registration. Forum for debate of diverse perspectives involving institutions and specialists in Brazil, Mercosur, Latin America, África and in other parts of the world. Consolidation and expansion of a network of interactive reflection and exchange of information.